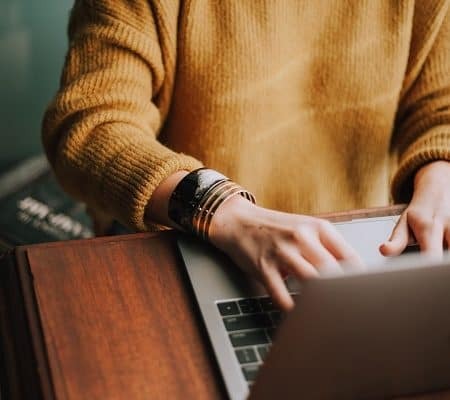 If you are struggling to get blog traffic which most bloggers have a hard time achieving, I will show you a few simple tricks on how to increase traffic to your blog posts. Below are the steps I used to get over 19, 000 pageviews on one blog post which resulted in me making over $2000.00. We have an amazing 3-day mini course you can join today. 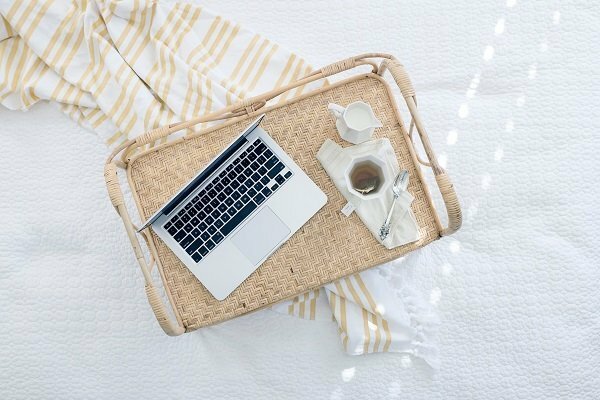 The 3 crucial steps to take before you can start making money from your blog. You can sign up here! In my opinion, blog page views do matter only for the simple fact that the more people you can reach, the more money you can make, and you are also able to inspire and help more people. 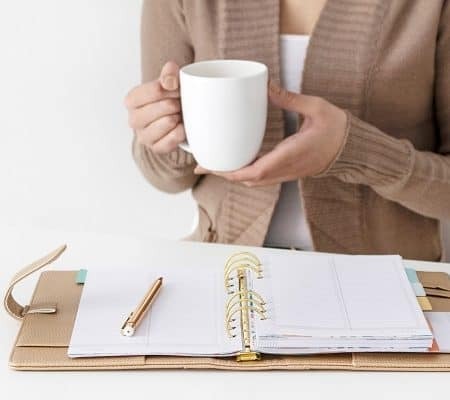 Page views will increase your affiliate income, you will be able to get more email subscribers and connect with a lot more people. So yes, in a way, they do matter. Note: You can absolutely make a lot of money with fewer page views and I go into this in much greater detail in my course “From Hobby to Biz“. In January I decided that I wanted to simplify the process of how I got blog traffic and how I attracted more blog readers. Doing countless tasks and frequently guessing if my posts would get traffic was not a long-term solution I wanted. I will show you how to increase blog traffic to your blog posts using simple strategies. 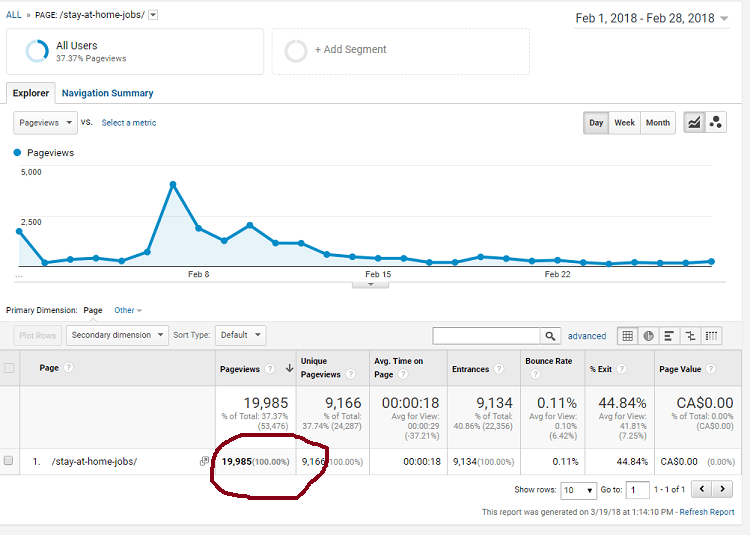 As you can see I got over 19, 000 page views on this blog post alone in the month of February. I published this post at the end of January and I gave it time to be picked up by both Google and Pinterest and by February 5th, it started picking up traffic. And I now get a good 500 page views a day from this post alone. I have since gone to publish 3 other posts and got the same results. Keyword research is the crucial step you need in order to increase traffic to your blog posts. If you really want to know how to increase traffic to your blog posts, you need to focus on great keyword research. And the keyword search should be something that is both popular on Google as well as on Pinterest. If you can get this step nailed down, you will receive a great amount of blog traffic on both platforms. Once I was able to nail this process down, my traffic on all new blog posts skyrocketed. I took an amazing course by Lena Gotts Adventures of SEO to really get my SEO game on track. I followed her exact steps of creating a blog post that rocked in order to achieve success. 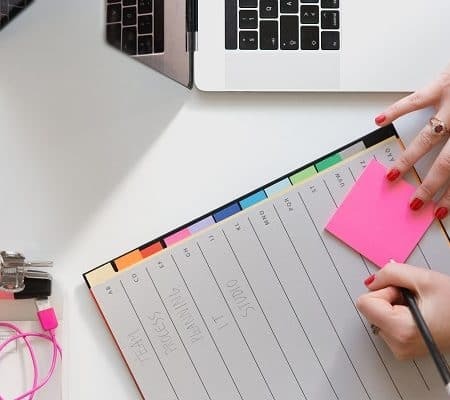 Yes, she actually writes out a blog post to show you step by step how to really rank for Google as well as for Pinterest. After figuring out my content as well as establishing the keywords I would use, I then proceeded to work on my blog titles and images. You need to come up with amazing titles in order to entice your readers into clicking through. If you can come up with really great titles then you have won half the battle. “5 Recipes to make for dinner tonight” – Ummm this is okay. But “5 Easy Mouthwatering Recipes to make in just 5 minutes” is much more exciting. I am mostly drawn to the Easy, mouthwatering and 5 minutes. Why, because A) I am too busy B) I may not be a great cook – so easy works and C) I do not want a bland meal. Increasing traffic to your blog post will heavily rely on how you craft your titles. Next, you want to focus on creating drop-dead gorgeous blog images. Here is an example of a few pins that work well for me: This one is awesome, this one does well and this one is okay. The next step is my Pinterest Strategy. Pinterest really works differently for everyone. Sometimes you copy a strategy from one course and it works and sometimes it doesn’t. Some say pin 30 times a day others say 75. If you want to increase traffic to your blog fast you need a plan and a strategy that works for YOU. This means experimenting, tweaking and improving. When you experiment, try to do it for at least over a month. 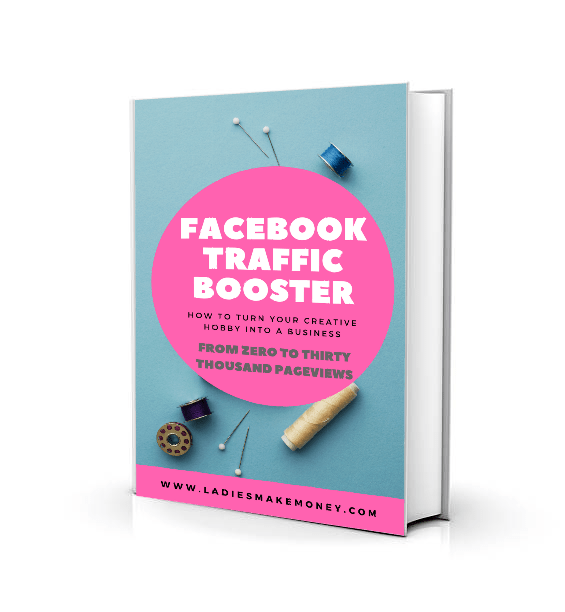 Your traffic may drop but that’s because you are tweaking your process. I love to manually pin my blog posts the first two weeks I publish it using Carly’s method. Then I add it to boardbooster queue for maximum traffic. In boardbooster, I have my own process that helps keep the pin going for another few weeks. I included the process I use in my course. This whole process is currently giving me amazing results and I tweak it if I see traffic start to drop. Here is a pro tip: Don’t be afraid to ask your readers to share your work. They most likely will share it. And try to come with 2-3 different images per post. I have always interlinked posts within my blogs but I think I did them wrong. Before, I use to add relevant links after each paragraph. I think it worked but not as much as when I started doing things differently. What I do now is to add a few relevant links either midway through the post or at the end but I list a bunch of links at once. Interlinking will increase traffic to your blog much faster as it keeps readers on your blog longer. 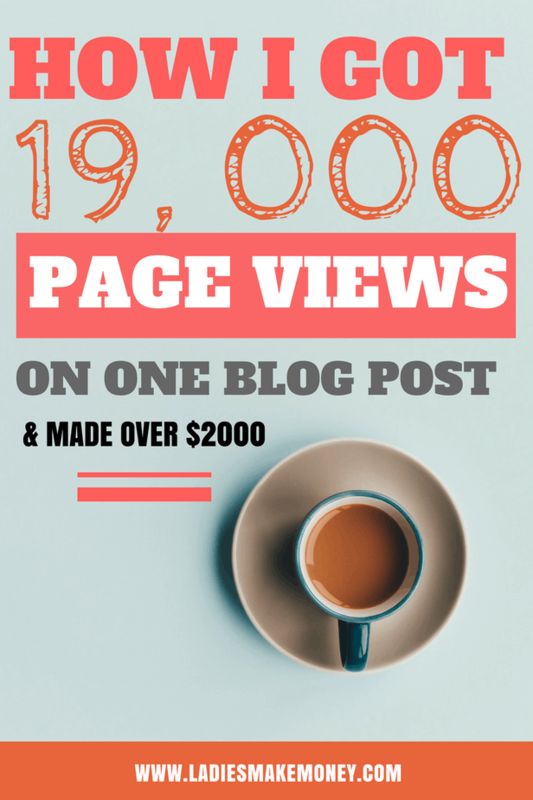 Want to know how one blogger gets over 2, 000,000 page views a month? Making Sense of Cents has the full scoop. Usually, when someone links to me, I am able to see it in my Google analytics as a traffic source. I then share the work, which helps increase traffic to your blog as well as mine. How much blog traffic do you get? Are you struggling with traffic? We would love to hear from you. Do you currently use any of the strategies listed to increase traffic to your blog? Leave us a comment below. If you found this post helpful, please PIN IT! FIND MORE AMAZINGLY CRAZY BLOGGING TIPS HERE! These are all great tips! I’ve signed up for your Facebook group and am looking forward to learning more from you and your tribe! Great tips thanks. I have 1,500 followers on Pinterest and I get 154K Unique Monthly Views but I’m lucky if I get 10 of these people to go to my blog. It’s very frustrating. Pinterest is the game changer these days and I’m working hard to get mastering of the platform. Great article with lots of helpful information. I’m learning so much from many sources, so I’ve booked marked your blog for future reference as I work through all of this. As a side note, your link to Carly’s Method leads to an Oops page. This was so helpful! Thank you! I am treating myself to a blogging course for Christmas, but I have yet to narrow down which one! Thanks for sharing! 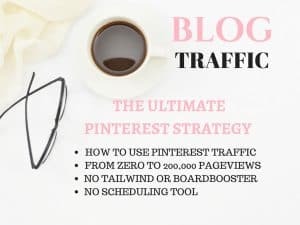 SEO and Pinterest have been my biggest sources of Blog Traffic but it can be hard for very niche sites. Thanks for the tips! I would like to thnkx for the efforts you have put in writing this blog. I am hoping the same high-grade blog post from you in the upcoming as well. In fact your creative writing abilities has inspired me to get my own blog now. Really the blogging is spreading its wings quickly. Your write up is a good example of it.”;you can visit my link to see how the big boys and gals make easy money without selling anything, using scrapebox combined with payper view sites. Wow! Thank you for providing such actionable tips for gaining traffic! I can actually take this advice and use it. I am working on my new blog, and have struggled with gaining traction since the end of June. I really like how you encouraged other bloggers to link up with others to promote each others’ blogs! I will be doing this, as well as tweaking my SEO strategy for Google and creating one for Pinterest. Great information that I can experiment with! Thanks again! Oh great, blog traffic is a long process, but doing a few tweaks will help in the long run. Then take a little break and come back to the post. 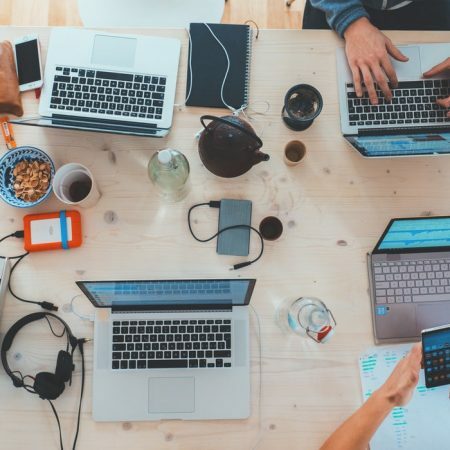 Nice article, really helpful strategies for blog creation and digital marketing i’ll bookmark your website and these are very useful in my job.Thanks for sharing.